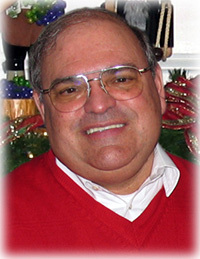 Bob Ciminel lives in Roswell, Georgia and has been employed in the commercial nuclear industry for the past 35 years. Although a native Californian, Bob considers Pittsburgh, Pennsylvania his home. Bob became a Southerner while serving with the Navy in Charleston, South Carolina, where he met and married Alice, his "Carolina Girl," in 1971. Just a Coincidence? - Nothing ever happens to me. GPS, Who Needs It? - I was working in Germany last week and the company provided me with a rental car equipped with one of those onboard GPS navigation systems that talks to you. It was a neat little feature considering the car was just a VW. Well, to be more exact, it was a VW Phaeton, a $67,000, two-and-a-half ton monster made for 210 kilometers per hour on the Autobahn. Of course, I had to verify that claim, and, yes, it could do 130 miles per hour with ease. I didn't ask why they rented such an expensive car for someone who usually sits in Atlanta traffic and rarely goes faster than 80 mph. I thoroughly enjoyed the car. - More.. The South Defined - So I said to the girl with the wooden leg, "Peg, where is the South?" Bob Rests His Case - The headline reads: "Hormel Foods Corp., the maker of . . . Spam luncheon meat, Thursday reported a 59 percent increase in quarterly earnings. . . ."